All 209 215 315 324 Cabin no. Wonderful cruise. 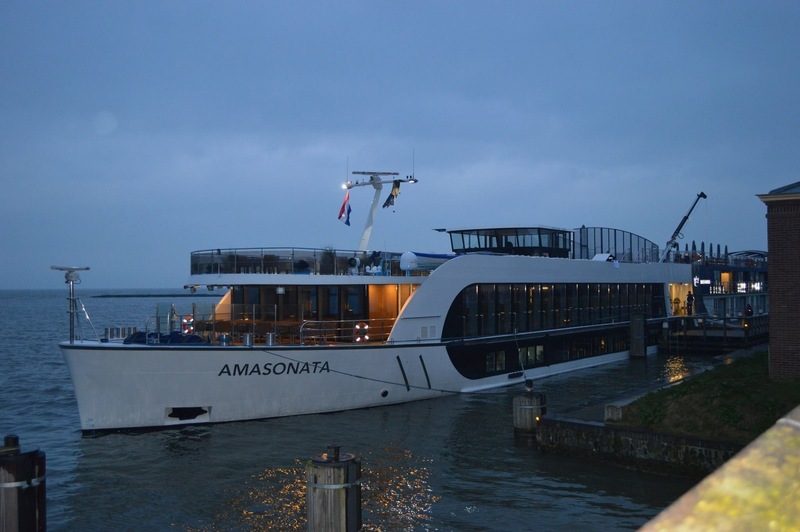 AMA Waterways continues to surpass expectations in all areas. The variety of shore excursions is outstanding. Cabin was outstanding. Food was excellent. Breakfast and lunch buffet layout caused frequent semi collisions with wait staff. Crew was excellent, but overall ship board operations seemed a bit disorganized. Lounge entertainment could use improvement to quality of excellent La Scala. Tours on Rhine are not as good as Danube. Overall, an enjoyable experience, though fairly overpriced. AMA cruises are top notch. The Sonata was a modern, comfortable ship with excellent amenities. The venue, going from Amsterdam to Basel down the Rhine River was beautiful. The cruise and it's excursions we're well run. The meals were good and the entertainment was OK. We enjoyed the people we met - it seemed to be a younger group of folks from similar backgrounds as ourselves. 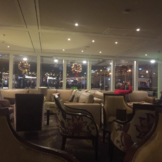 I would recommend Amawaterways to others if they want to go on a river cruise versus some of the other options that are available. The AmaSonata is a well appointed and beautifully decorated ship. I was very impressed by the level of service received along with the strong attention to detail. The cuisine onboard and the wine were by far superior to other products I have experienced. I also found the Cruise Manager to be on point and consistently exceeded our expecations with regards to knowledge and overall level of service. I've just returned from a trip on the AMA Sonata on the Tulip Time itinerary. The ship is beautiful and the service was impeccable. I love the intimate environment where you get to know the staff and talk with so many other guests onboard. Its very different from an ocean liner. I especially loved how port intensive it was and that you could walk off the ship and mix with the locals at a nearby pub or market. The history was so interesting and the walking tour and biking tour guides were friendly and knowledgeable. You can't go wrong with booking this trip but I would recommend adequate health in walking a few miles at a time, even slow. I will be recommending this cruise to my friends and family! The AMASonata is a beautiful ship, it was just put in service in 2014, so it is new and in good condition. We found the staterooms to be adequate and reasonably comfortable. There is a bit of a design flaw near the closet, bathroom door, and door to the hall when you try to get into two spaces at the same time. The bath was very nice, although I would have loved a tub. Housekeeping did a great job! We found the staff to be exhausted-they had been traveling for nine months; this was their last cruise and they couldn't wait to go home. Most of the crew was from the Baltic region-I don't think their customer service skills are great as we found them often to be inattentive and surly. We were on the violin deck, where they were smoking in the restaurant; the smoke permeated the hallway and into our room. I wouldn't recommend cruising at this time of year, as everything in the countries is closed for the holidays. We arrived at the holiday market in Nuremberg with only a few hours until it closed on the last day. Likely everyone that lives in the city was there, as it was impossible to shop because there were so many people. We experienced these restaurant closures and shop closures throughout the trip, which was a big disappointment. The only other Christmas market we saw was in Prague. We didn't like the Intercontinental in Prague-the rooms are very small and we were not able to control the temperature-it was hot and stuffy. The food on the boat is of good quality. However, we did not like the menu and food preparations. Given the size of the ship, they do not have a very large kitchen. Most of the food is brought on board frozen and prepared sous vide. The problem is that they weren't finished after being heated in the water bath, so steak and rack of lamb, etc. with no sear. Even the beautiful seafood buffet on Christmas Day was overcooked as it was steamed improperly. If food is a big concern to you, I wouldn't choose this ship. Food is not available all day and you need to eat at set times, which I really don't like. They do have coffee/tea service throughout the day. We also didn't find the tours to be very well thought out; most were forced marches through the countries, with no time for lingering or picture taking. Several didn't make any sense with long bus rides and a destination that was not adequately planned out. We did not receive an adequate response from them in response to our concerns, so they have lost our business. With so much competition from other lines, I am surprised. Loved every minute. 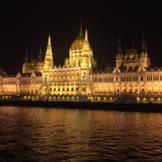 A River cruise is different than an ocean cruise, but as good or better, depending on the ship. The service, food, accommodations and crew were perfect. Most tours were included, some excellent, some could be better (Budapest City Tour, for example). I would highly recommend the AmaSonata or any of their newer ships.